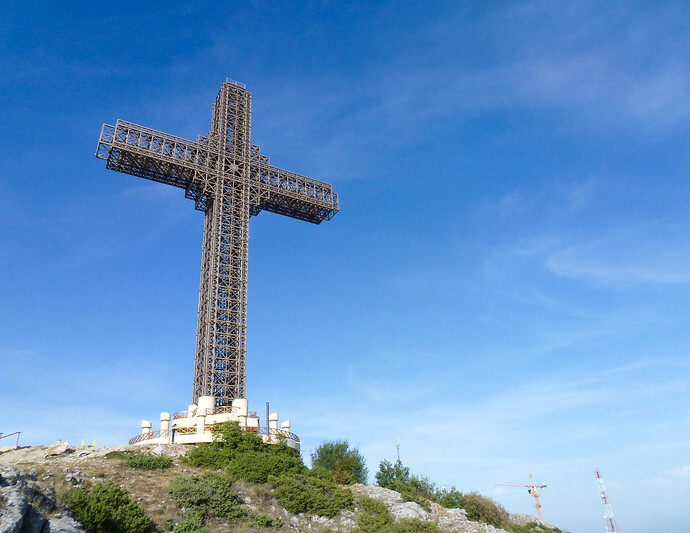 The Millennium Cross on Vodno Mountain’s highest point is one of the first sights you’ll notice from most everywhere in Macedonia’s capital city, Skopje. At 1,066 meters (3,497 feet) the views from the base of the Millennium Cross are impressive, although finding out how to get there isn’t exactly clear. Fortunately, that’s the most difficult part; once you have the directions visiting the Millennium Cross is pretty easy. 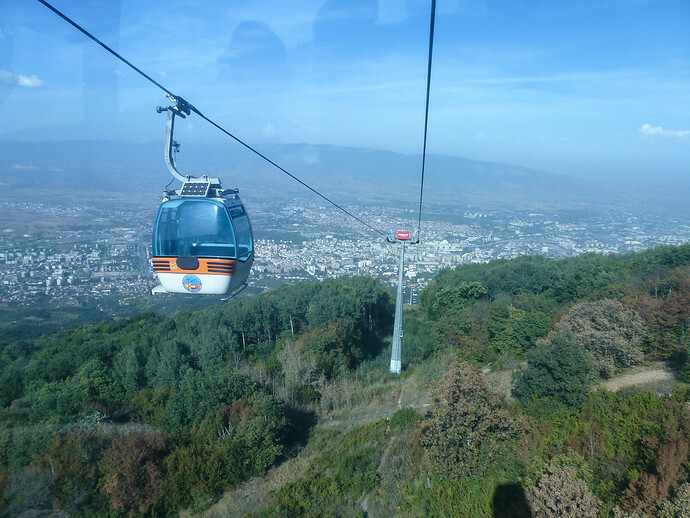 You’re likely to be told about the “Millennium Cross” bus line and all the stops it makes throughout Skopje. But it doesn’t, so don’t wait around at bus stop 11 as I did only to find out the route is essentially unpredictable. Skopje is small enough that from most points in the city, like Macedonia Square, you can walk to the International Bus Station within 30 minutes. (It’s roughly 2 kilometers, 1.2 miles, away.) Next to the International Bus Station is a large parking lot you can call the national bus station. Ask for the Millennium Cross line, which arrives every 30 minutes between 8:20 to 3:20 in the afternoon everyday. Explore Macedonia (the country’s official tourism board) keeps an updated list of the bus times here. 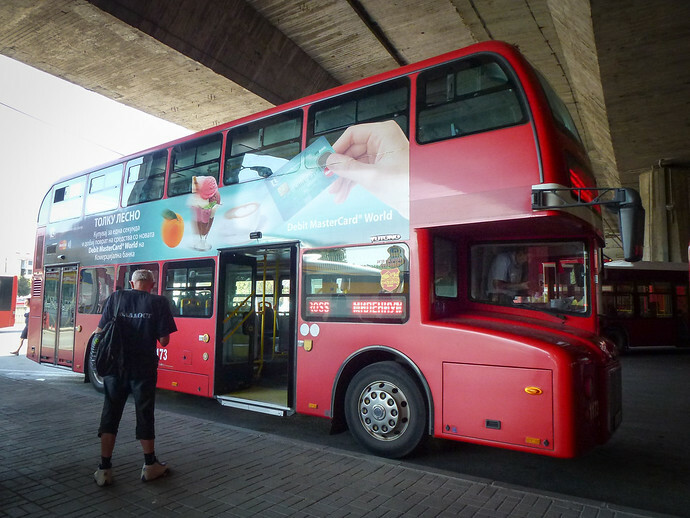 The red double-decker bus will have a lit sign saying Millennium Cross. 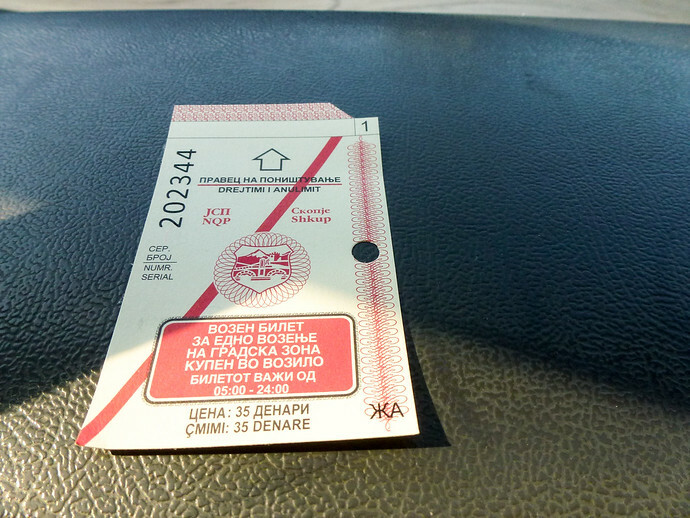 You purchase your tickets directly from the driver; the cost is 35 Macedonian denar equivalent to .60 euro. The bus may make a stop or two along the 30 minute drive up to cable car station where you’ll wait in line for 10 minutes or so. Cable car cost is 120 denar, about 2 euro, for a round-trip. One way tickets are available as well, many bikers take the lift up, then cycle back down. Keep in mind that although they have a credit card machine it’s likely not to be working, so bring enough cash for the entire experience. 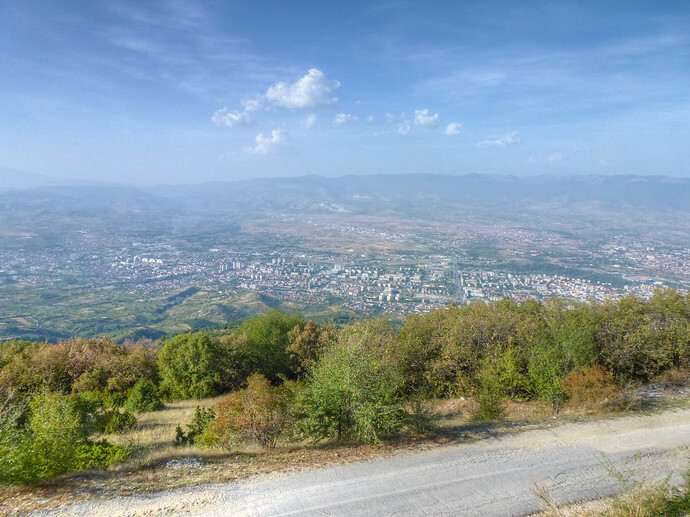 You can’t go to the top of the 66-meter (217 ft) Millennium Cross but the views from Vodno from the small cafe or wooden porch on the opposite side of the mountain make for a nice afternoon. Afterward, you can make your way to Macedonia Square for an evening show of the universe I recommend you don’t miss.